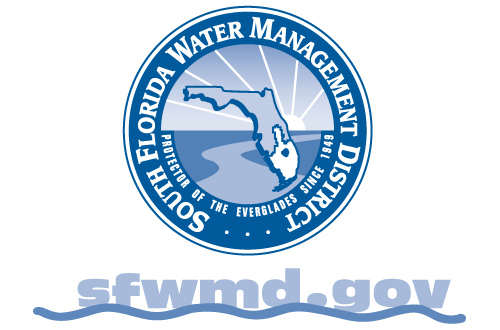 West Palm Beach, FL – The South Florida Water Management District (SFWMD) Governing Board today selected Governing Board Member Federico Fernandez as its new Chair and Governing Board Member Melanie Peterson as its new Vice Chair. "I will most certainly be honored to carry the great responsibility of being the chair of this Governing Board going forward and serving the 8.1 million residents of South Florida," said Chairman Fernandez, who was quick to say that the leadership the Governing Board provides under his chairmanship will rely heavily on the diverse backgrounds of the Board members. "It is critical to how we function to have that plurality of perspective and focus and the high level of skill sets that are part of this Board." Fernandez, an attorney and native of Miami-Dade County, was appointed by Gov. Rick Scott in 2016 to represent Miami-Dade residents on the Governing Board. Since then, he has been a champion of Everglades restoration efforts, especially efforts to restore the health of Biscayne Bay, a jewel of the Miami-Dade and South Florida ecosystem. Fernandez succeeds Dan O'Keefe who will remain on the Governing Board. O'Keefe voluntarily stepped down as chair, stating the time required to serve as chair properly was no longer possible due to his recent appointment to the Board of Trustees of the University of Florida. O'Keefe was appointed to the Governing Board in 2011 and began serving as chair in 2013. Peterson, a real estate agent and native of Palm Beach County, was appointed by Gov. Scott in 2014. She has championed water quality and restoration efforts, including encouraging communities to convert from septic tanks that can pollute waterways to more sustainably responsible sewer systems. O'Keefe described Peterson as a "super effective" advocate for the interests of the District and the residents it serves throughout South Florida. Peterson, touted by her colleagues as engaged on a myriad of issues, said she was honored to be chosen by her fellow Governing Board members and to serve in her capacity as Vice Chair. She succeeds Governing Board Member Jim Moran, who was appointed in 2015 to represent Palm Beach County and who will also remain on the Governing Board.